58 Homes sold on 5 Acre lots during 2018. Up from the 50 that sold during 2017. The increased volume from 2018 came from the new construction that is being built in Moose Haven Estates and Lone Mountain Estates. Otherwise, we would find our numbers for homes sold during 2018 as holding steady. As you look at the chart your first thought would be that prices are up! Technically that is a Yes! But the New construction is what has pulled the prices of homes up in the last quarter. Otherwise, we would be running at about the same price as the last year (2017) for the most part. December’s existing home sales sold for an average of $163 per sqft, November’s existing home sales were at $155 per sqft and Octobers existing home sales ran an average of $167 per sqft. Fairly consistent to what it has been running all year. What would I expect to happen this year 2019? 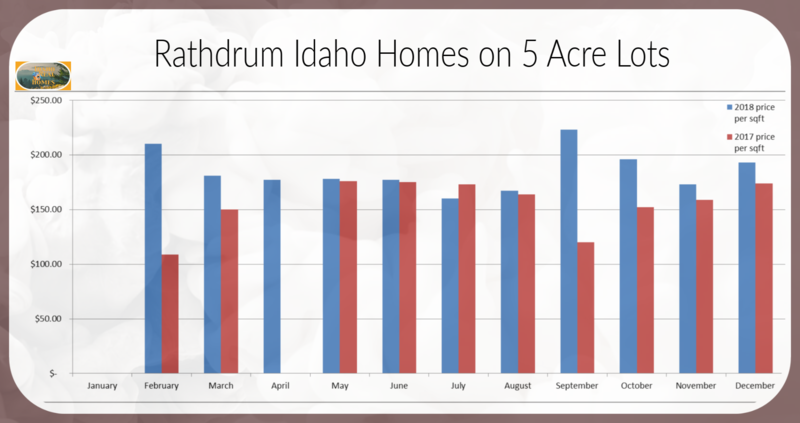 I personally think the market is going to hold fairly steady for homes in Rathdrum on 5 acre lots. I would be surprised if we see a lot of growth but would still expect the typical 2-3% of growth that you would expect with home ownership in our area. As I write this today the end of January 2019 we have 21 homes on the market half of them are new construction the other half existing homes. Or as you can see with our typical numbers about 1/5 of the total existing homes we can expect to sell this year is listed as of right now. There is a couple of developments that are going in that still have room to grow so I would expect to see the new construction numbers up a little bit higher this year as those get sold out. So with that number getting added into the mix, I am anticipating the number of homes sold to be a little higher this year than they have been in the last couple of years. Existing home sales I think there is a lot of room for the well cared for home. The home with deferred maintenance may have to start adjusting its price a little as I think the competition of the new homes is going to suggest that there will be enough homes to go around and if anyone is going to have to give I think it will be the home with deferred maintenance. Overall I expect us to have a good solid year. I am anticipating a little more inventory this year as I think the fence sitters are getting nervous as they probably should be and the new construction is going to up the ante a little. Interest rates are holding low so if you are buying I think this will probably be the year you can get in there and get what you want. Shopping for a Rathdrum Home be sure to check out our Rathdrum Community page for links to all of the homes for sale in Rathdrum. If you are considering selling your Rathdrum Home be sure to request a No Pressure Free Valuation on your home from us! We know the Rathdrum Market and are here to help you make the best decision possible for you with our in-depth sales data that we gather monthly. 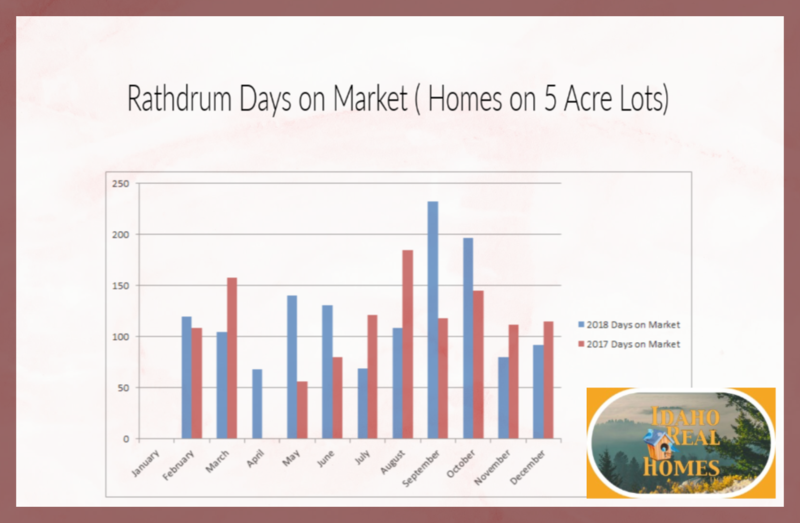 To Read our Monthly Rathdrum Market Reports Check them out here or Subscribe to Monthly Updates below.